The Opera House is a performing arts centre in Sydney. It was completed in 1973 and is considered as a masterpiece of late modern architecture. The opera house was listed as Unesco World Heritage Site in 2007. 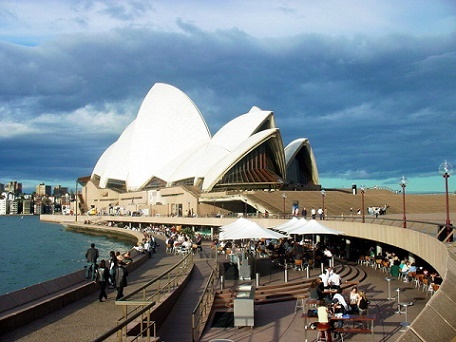 It is one of the main attractions in Sydney with 7 million visitors every year. Visitors of the Opera House can make one of the guided tours. The Backstage Tour includes a full breakfast in the Green Room which is the private domain of performers and staff. 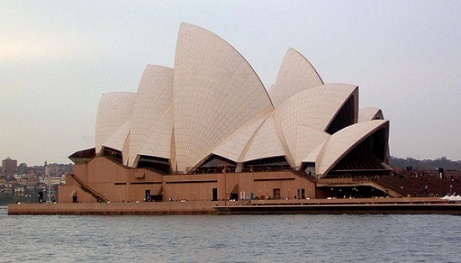 The Opera House is situated in Sydney Harbour, close to the Harbour Bridge. Nearby is Circular Quay Station which is a part of the City Circle. The City Circle are 4 passenger railway lines (largely underground) located in the Central Business District of Sydney. Circular Quay Station is staffed and wheelchair accessible. 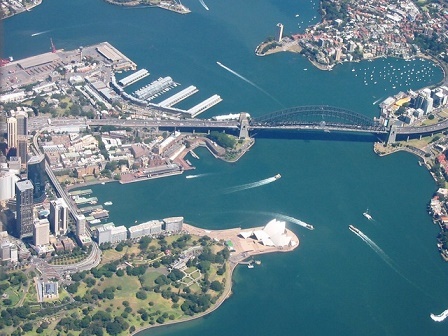 There are also plenty of city buses and ferries to Circular Quay. Five star hotel Park Hyatt is situated on the harbor. The property has beautiful views on the Opera House. The Harbour YHA rooftop views of the Sydney Opera House.